Body BeneFits is the first medical spa in Houston/The Woodlands, Texas, or surrounding area, to offer the 'SmoothShapes' a medical laser for cellulite and fat reduction in a pain free, non-surgical, non-bruising, relaxing "lunch time" treatment. They have been in business since 2000 offering cellulite reduction, lymphatic draining, non-invasive body contouring and introduced the most advanced medical laser for fat and cellulite reduction along with laser hair removal, i-lilpo, Zerona, Endermologie, Smoothshapes, Infared detox wraps, sunless spray tanning, facials, Hydrafacial MD, Glominerals professional makeup, massage, waxing, and more. Garth Denyer, M.D. Meet Dr. Garth Denyer, our Medical Director. Dr. Denyer is a family practitioner who has been practicing in our community for over 30 years, beginning with the establishment of the Oaks Medical Center. In addition to family practice medicine, Dr. Denyer has a keen interest in preventive medicine, hormone replacement therapy and male sexual health. Dr. Denyer is a Diplomat of the American Board of Anti-Aging. He is experienced in bio-identical and growth hormones, and also specializes in Cenegenics Elite Health Programs. Dr. Denyer became a Cenegenics patient himself over ten years ago, and because of the personal success he had, began taking an active interest in age management. After completing the Cenegenics training and certification process, Dr. Denyer opened his first office in The Woodlands in 2007, then in 2011, became a Cenegenics partner and officially opened the Cenegenics Medical Institute of Houston. In his ongoing quest for knowledge, he has attended many motivational conferences to learn more about positively influencing his patients' habits to help them change and meet their personal health goals. Sherry Summers-Ball - owner, featured twice on Great Day Houston with Debra Duncan, demonstrated the latest procedure in fat and cellulite reduction that even stars like Jeane Keough of "The Real Housewives of Orange County" are admitting it's her trade secret for slimming and smoothing her cellulite for the summer. SmoothShapes medical laser is also on newsstands in The Oprah Magazine May 2009 The Cure for Cellulite - Seriously . The latest high-tech treatment gets results. Body BeneFits is the only Woodlands or Houston area medispa that offers the SmoothShapes system for longer-lasting improvement in dimpled skin known as cellulite. More than 85 percent of women will develop cellulite at some point in their life and it can't be controlled or improved through diet or exercise. Ultra slender supermodels, women devoted to a healthy lifestyle and diet, and even toned athletes can all have cellulite. Since opening in 2000, Body Benefits is still the most experienced and specialized center in cellulite reduction, body contouring, therapeutic massage and lymphatic drainage using LPG equipment. In 2003, Body Benefits was the only location chosen by LPG Worldwide (the manufacturer) to train medical spas and doctor offices in the world patented LPG cellulite reduction equipment in Texas. Therefore, they provide the most experienced staff educated in the right treatment for each client with advanced protocols and training available through the center. Body BeneFits was first to offer the Woodlands endermologie and all the advanced protocols. 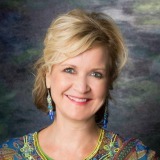 Sherry has trained many doctors, clinicians and therapists for LPG Endermologie. 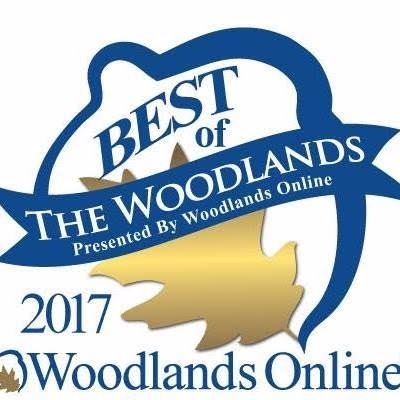 Their Woodlands office offers the most advanced treatment for body contouring or pre/post surgical treatments for plastic surgeon patients including board certified plastic surgeon, Drs. Lucian Rivela, Hilton Yee and Noushin Hart's patients. Dr. Mila McManus' patients also benefit along with the Detox and Wellness program she provides her patients and Avante Laser & Medispa clients have been receiving cellulite reduction and pain management since they all joined together in one location. Perfected after seven years of development, the SmoothShapes device uses a proprietary technology called Photomology which ultimately results in longer-lasting cellulite improvement and the appearance of tighter and smoother skin. Thermal and non-destructive, Photomology's unique mechanism of action combines dynamic laser and light energy with mechanical massage and vacuum. The treatment uses dynamic laser and light energy to liquefy fat in adipose cells (fat cells) and improve skin texture. Collagen is regenerated, circulation is improved and metabolic processes are restored. The contoured rollers and vacuum massage assist in moving the liquefied fat out through the lymphatic system with a soothing massage that smoothes the appearance of skin. FIRST PLACE FOR VOTING READERS FROM THE LIVING MAGAZINE!